Your wedding day should be one of the most enjoyable and memorable occasions of your life. In order to achieve that, having the right venue is crucial. At Centurion Conference & Events Center, our elegant, award-winning facilities and services are guaranteed to wow both you and your guests. Whether you’re planning an intimate reception for 50 or a grand affair for 800, we offer flexible space to accommodate your needs and budget perfectly. From the minute you walk through our doors until your last guest leaves, our Wedding Manager will work with you to ensure that your vision matches your experience. With exquisite attention to detail and industry experience, they will ensure that your wedding goes smoothly and exactly as planned. Your guests will be welcomed into our beautiful venue space that features expansive ceilings, elegant design touches, sophisticated table settings, crisp white linens, subtle lighting, and the industry’s best wait staff. Then they’ll be wowed with a range of culinary delights made by our in-house Executive Chef. 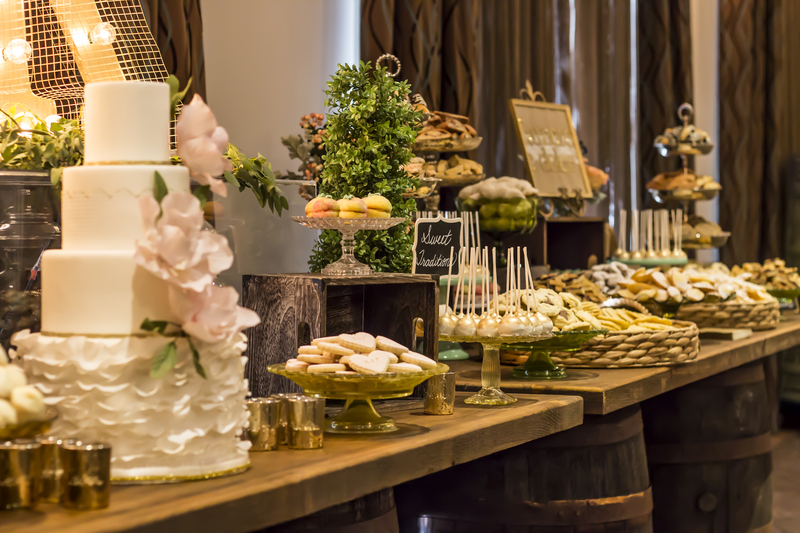 At Centurion, we offer a wide range of menu options, including plate service, buffet options, and customizable wedding packages that are designed to appeal to all tastes and budgets. And if you prefer to customize a menu to reflect your tradition and theme, we are more than happy to accommodate! When you’re finally ready to hit the dance floor, we’ll help you keep the party going. We work closely with Advantage Audio Visual Rental Ltd. who can provide you with all your audio-visual needs to make your day perfect. We’ll also make sure that all the audio-visual equipment is tested ahead of time so that everyone can keep dancing all throughout the night. With its classic style, unmatched service and elegant design features, Centurion is a venue that your guests will remember. Whether you’re looking for something intimate or large, our space provides you with the opportunity to add your unique touches if you prefer. For over 20 years the Centurion Conference & Event Center has continued to build an award-winning reputation thanks to our dedicated team, our customized event planning, delicious catering and exceptional service. To learn more about our wedding venue and services, please review our wedding menus for more information on our dining packages. Feel free to contact us for additional information, to check available dates, or to set up an appointment.